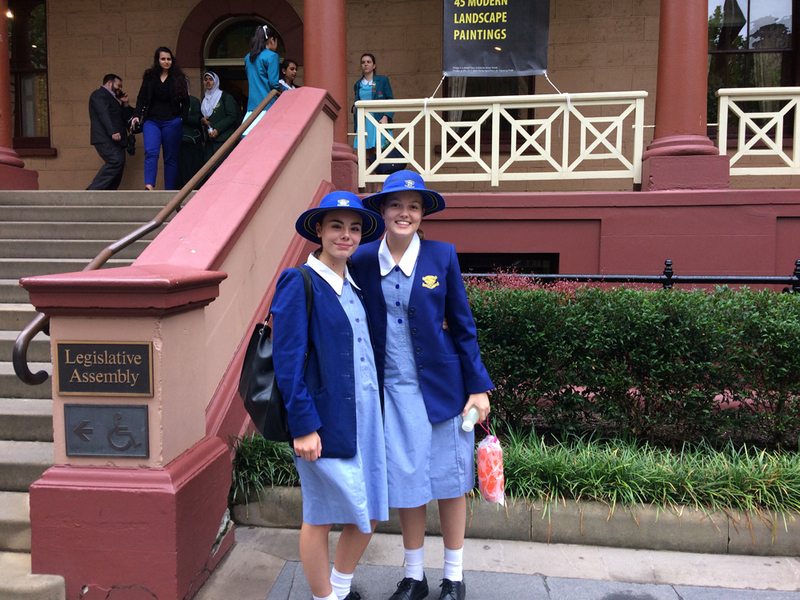 On Friday 20 October Caitlin Bush and Greer Pollard represented Loreto Normanhurst at the Parliament of New South Wales Global Dignity Day. 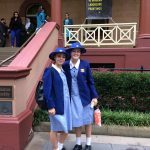 I trust you will enjoy their reflection of the day and see the value of this engagement in the broader community where they bring alive the Loreto Mission Statement. 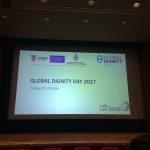 Dignity: defined as the state or quality of being worthy of honour or respect. 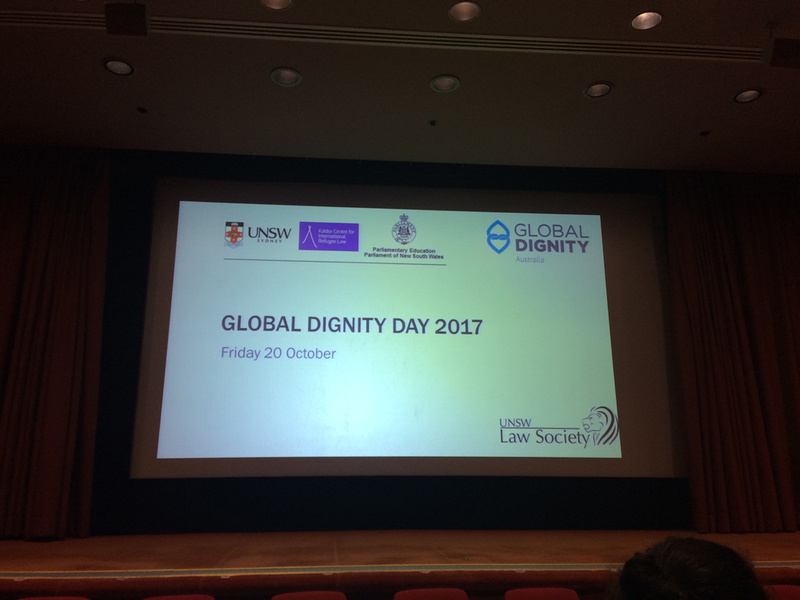 Friday the 20th of October was Global Dignity Day and we attended a conference at NSW Parliament House with other Year 10 students from across Sydney. Together we listened to a presentation by a woman named Aminata Conteh-Biger, who is the Founder and CEO of The Aminata Maternal Foundation which aims to reduce the rates of maternal and new-born deaths in Sierra Leone by supporting programmes for pregnant girls, many of whom are living in slum conditions. Aminata grew up in Sierra Leone, and was captured by rebel forces during the Civil War in 1999, and survived. After being released, the UNHCR recognised her refugee status and in 2000 she became the first Sierra Leonean refugee woman in Australia. After she gave birth to her first child with some complications she realised that more needed to be done for women in her home country. She started the Foundation with the aim of helping reduce maternal and infant mortality rates in Sierra Leone. She has since been back to Sierra Leone, strengthening those who have lost their dignity by suffering from a disease called Fistula. We were deeply moved by her story and the message taught us that for authentic progress to be made in the world, we need to strengthen what unites us – we need to strengthen our common humanity so that everyone’s dignity can be recognised. 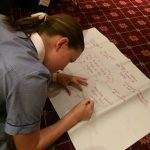 In Article 1 of the Universal Declaration of Human Rights ‘All human beings are born free and equal in dignity and rights.’ We have much to do in the advocacy for maternal dignity and health and we will work closely with the Mission Team in the coming months to raise awareness of this issue. How is your daughter fulfilling her potential at school? 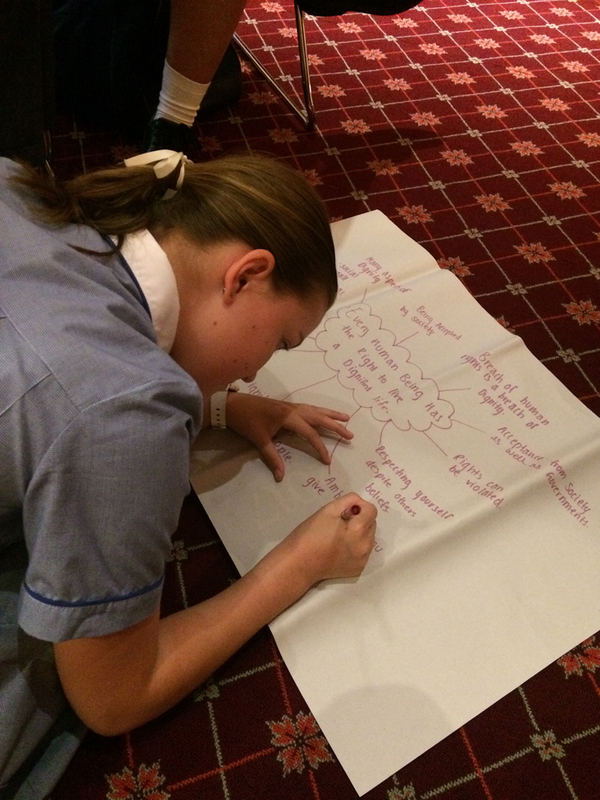 Is she involved in a range of extra-curricular activities that help her reach a potential that she is happy with? Please take some time to have this discussion with your daughter. After all, the opportunities are here for the taking.